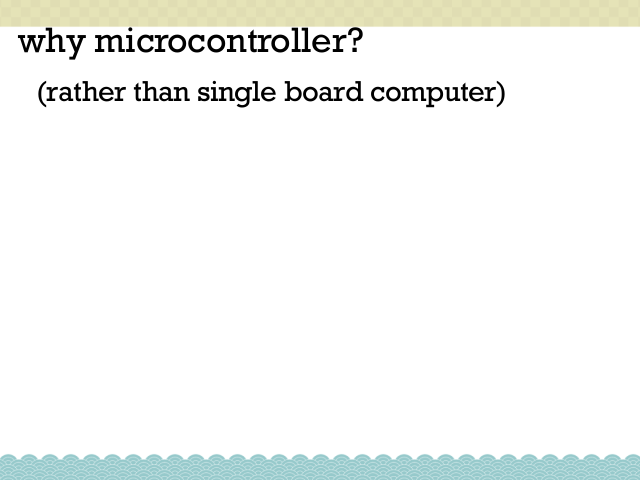 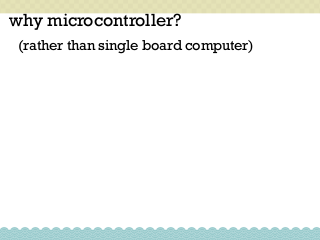 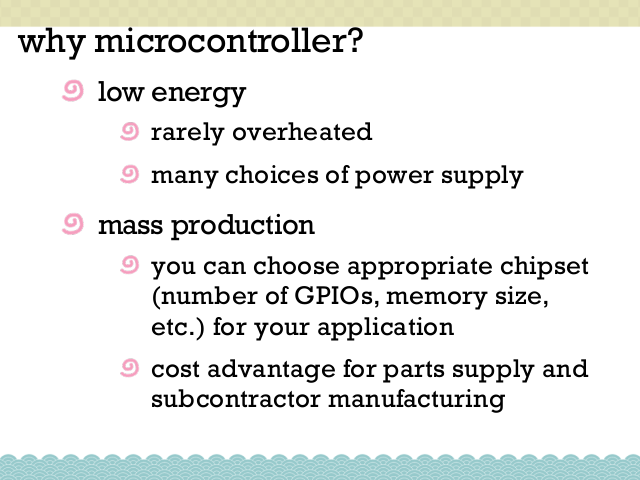 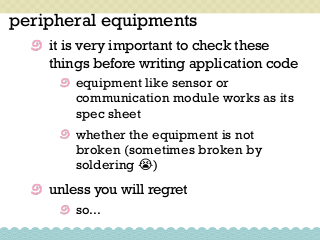 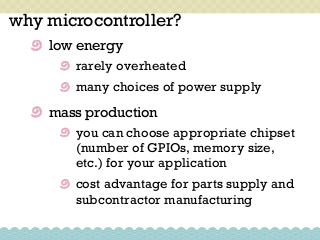 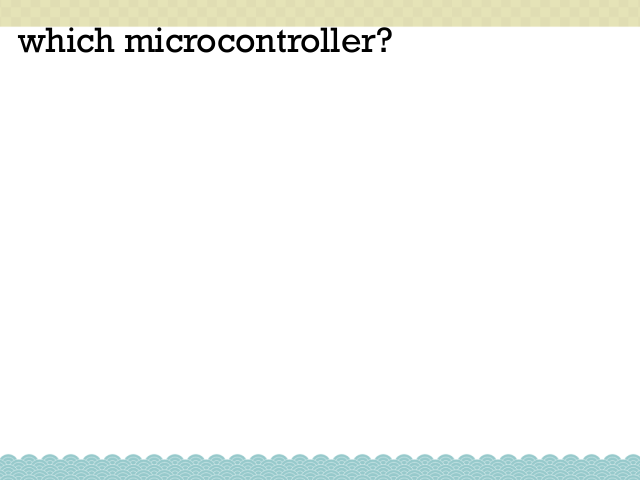 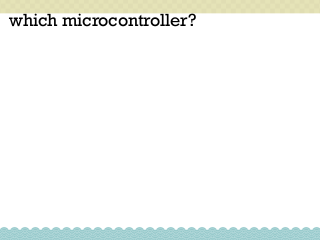 We have a new choice to write firmware for microcomputers(microcontrollers). 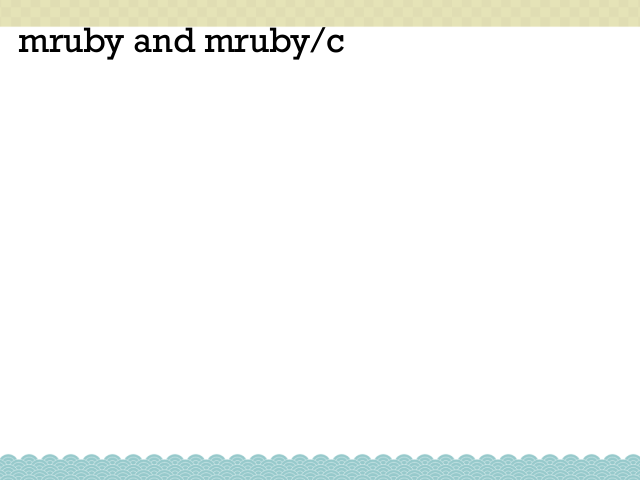 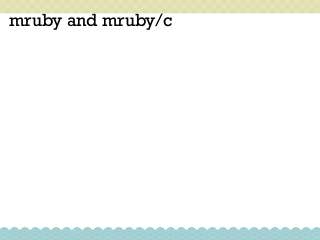 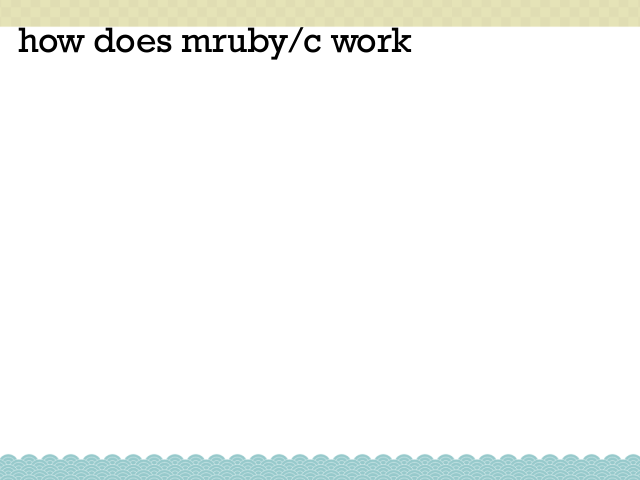 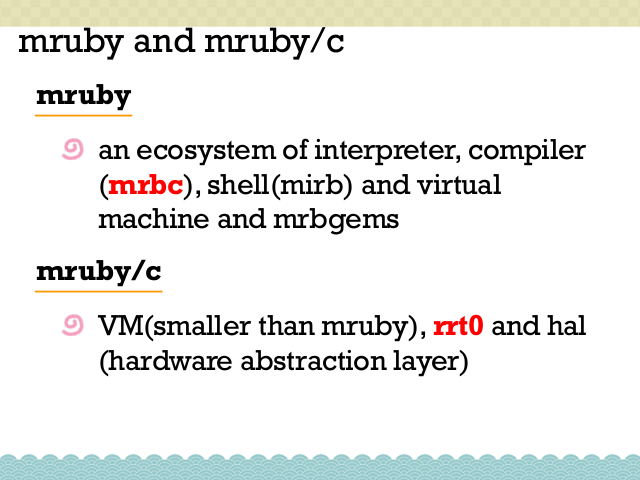 It's mruby/c. 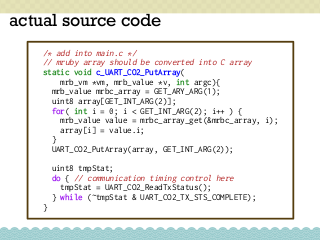 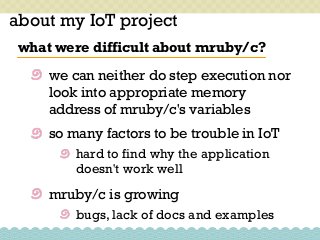 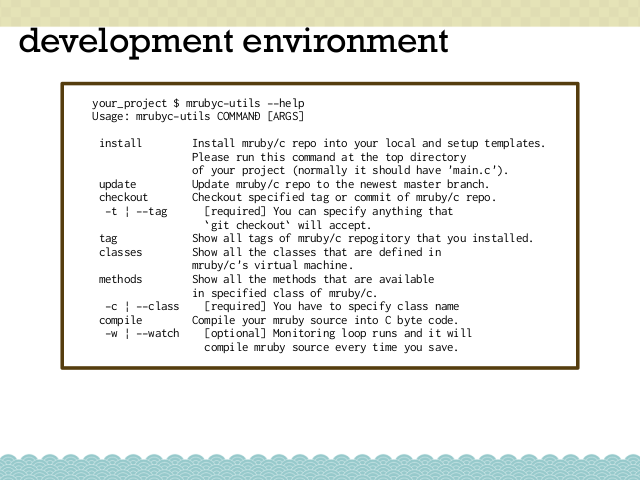 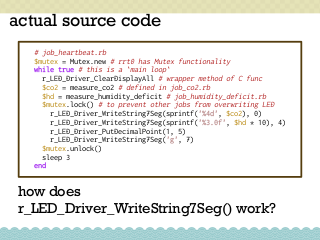 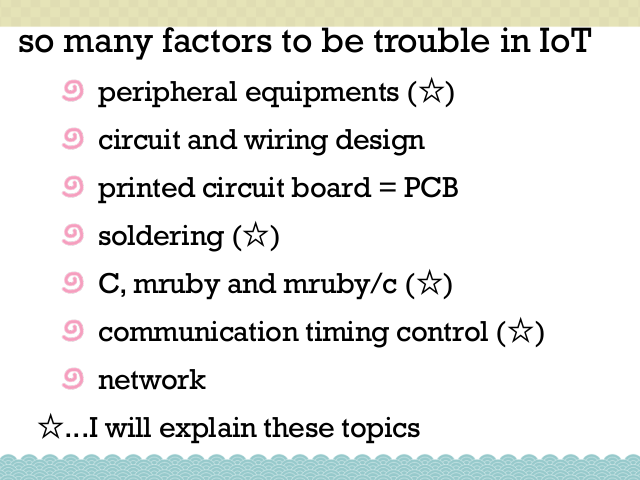 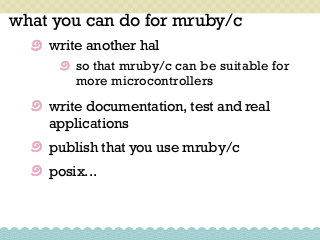 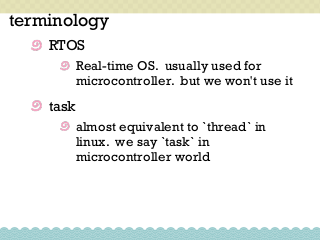 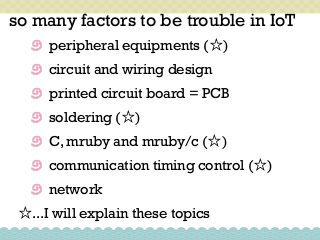 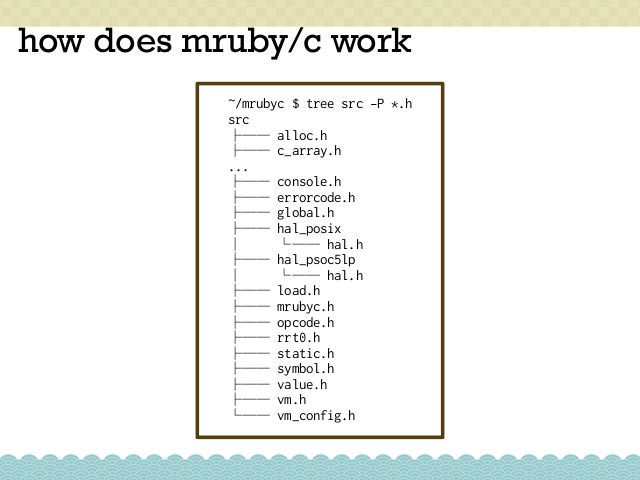 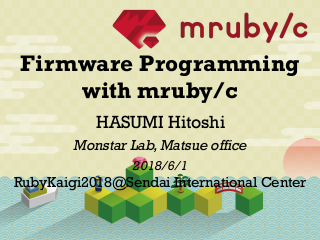 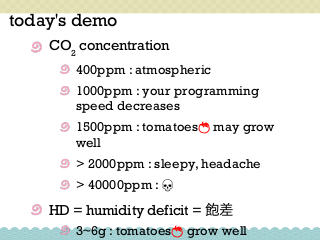 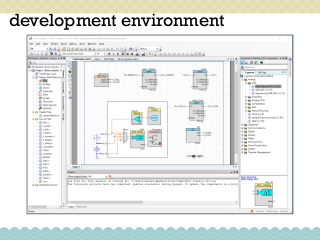 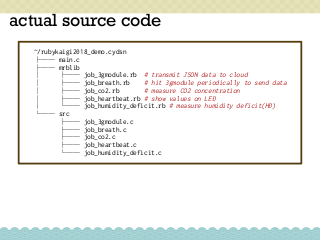 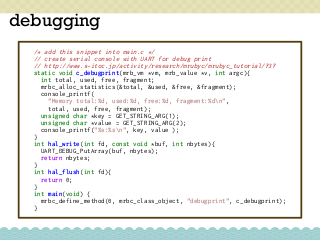 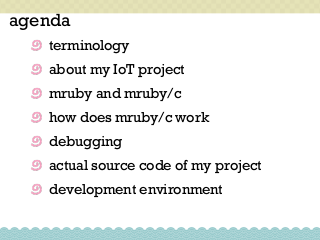 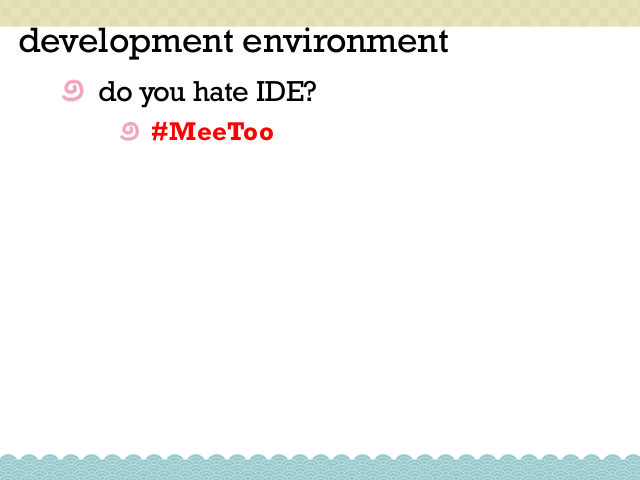 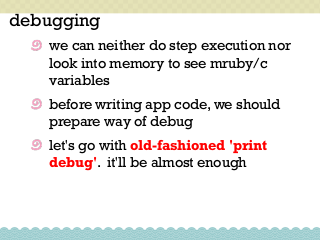 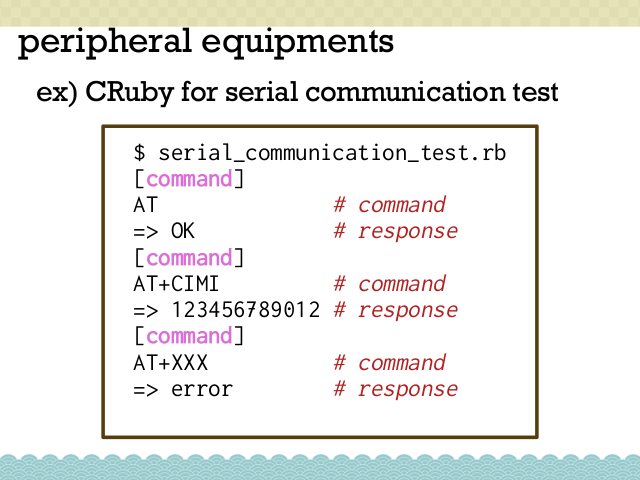 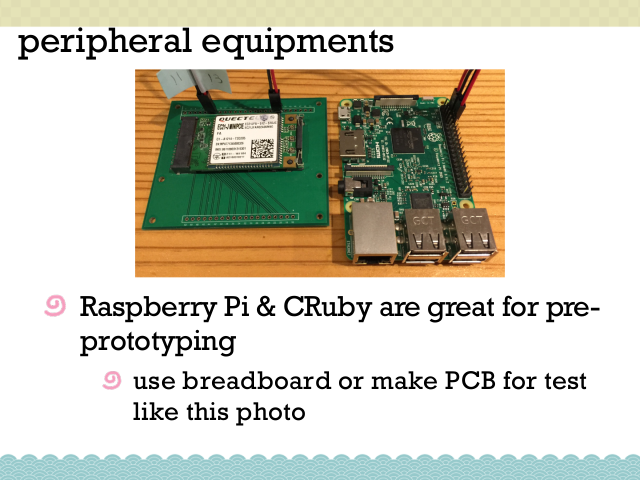 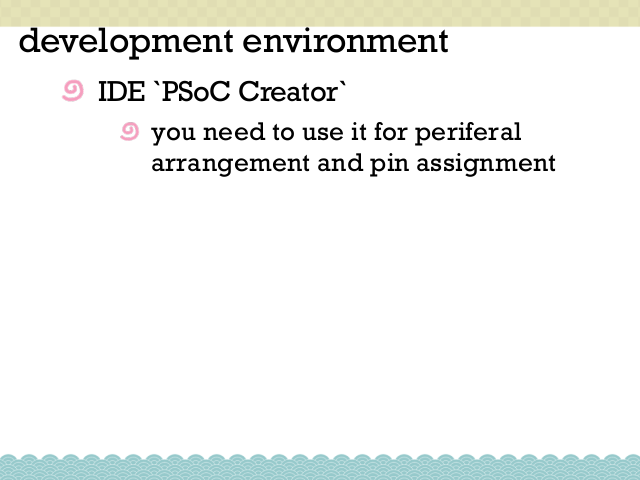 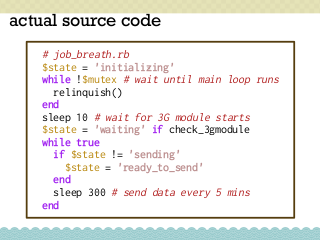 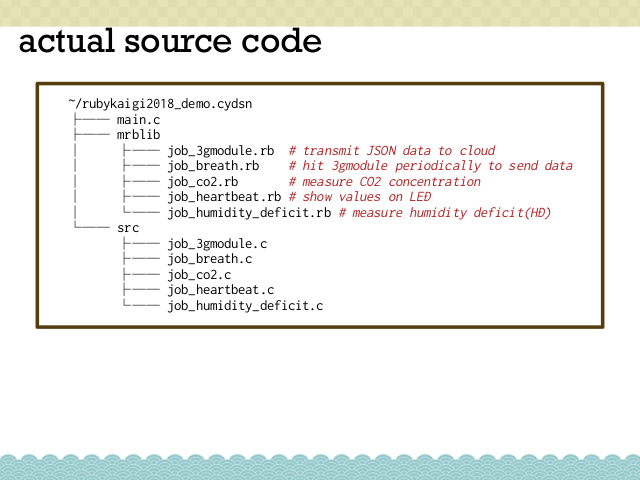 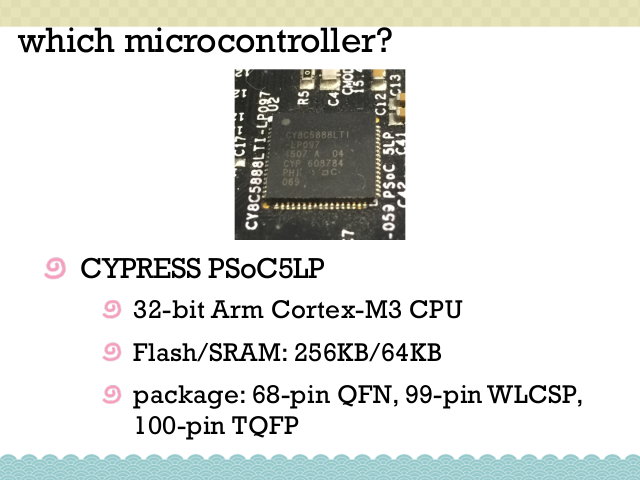 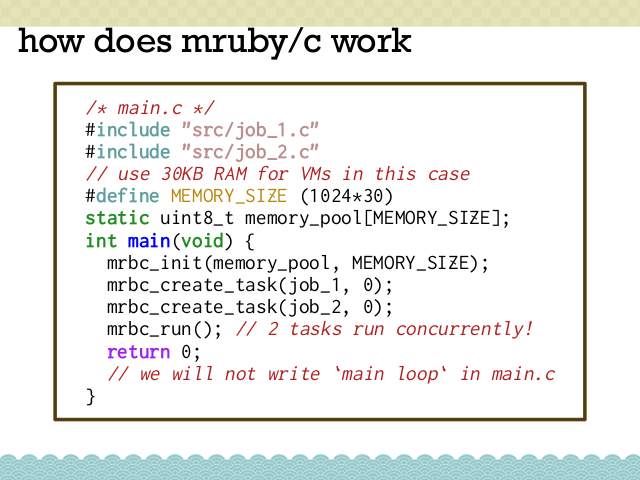 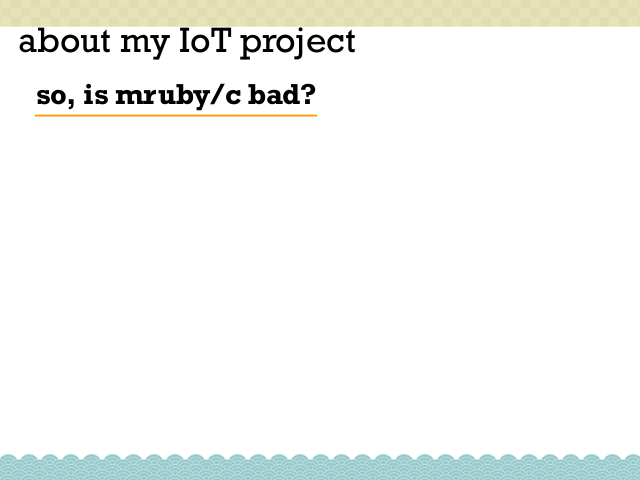 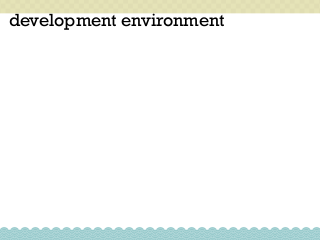 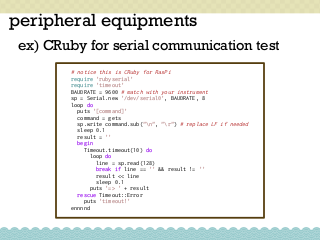 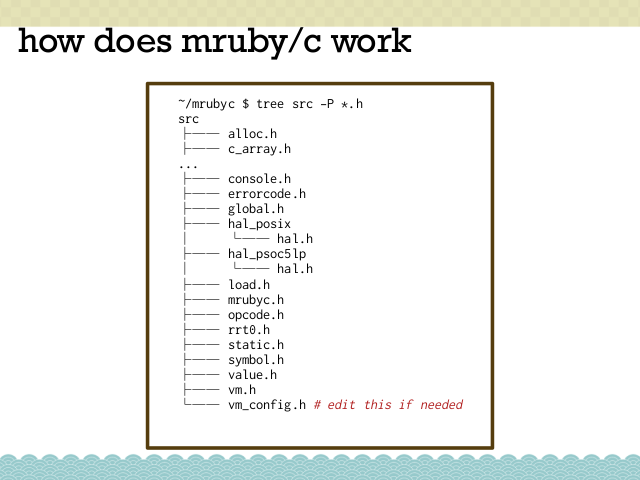 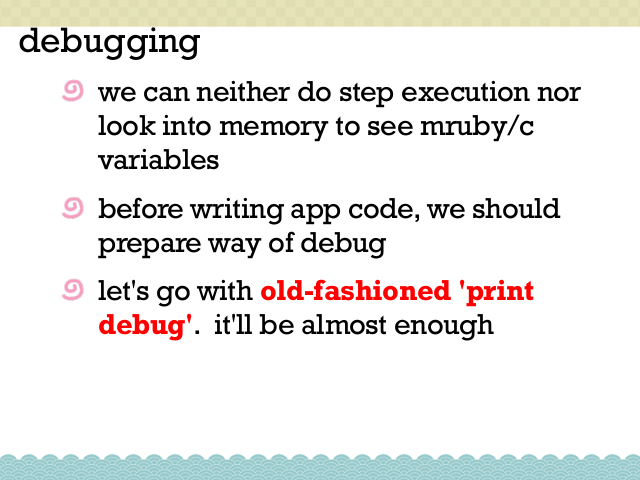 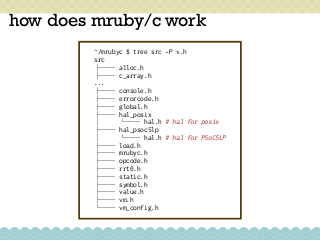 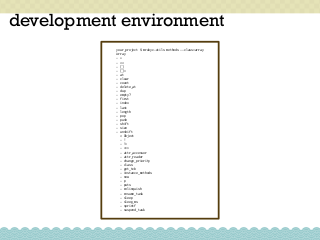 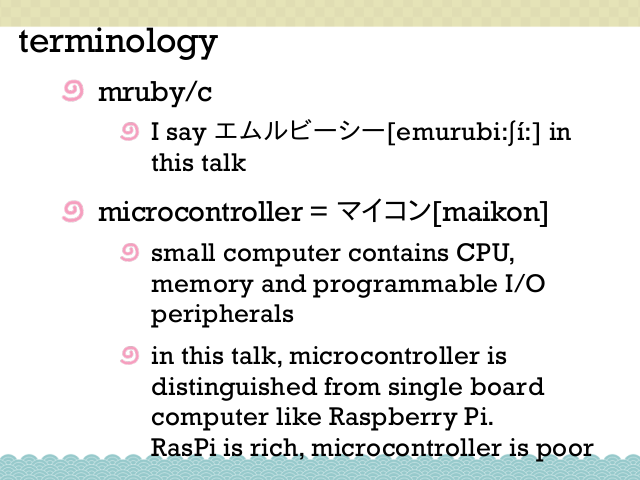 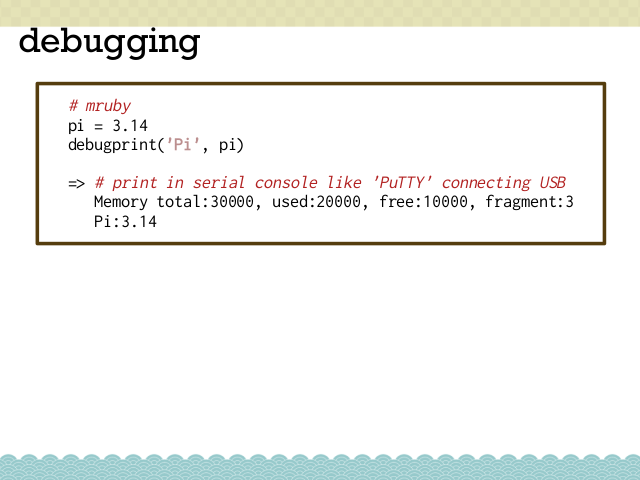 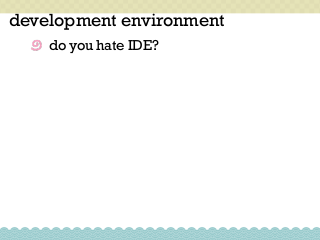 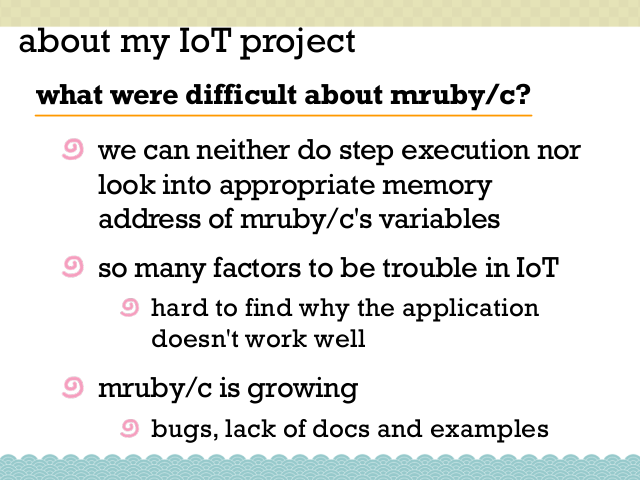 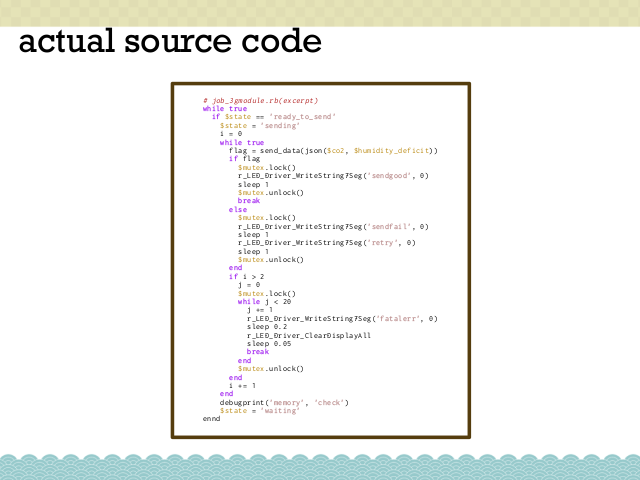 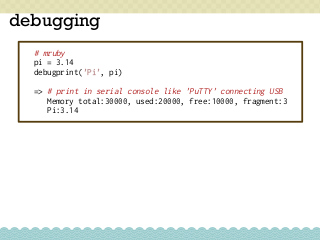 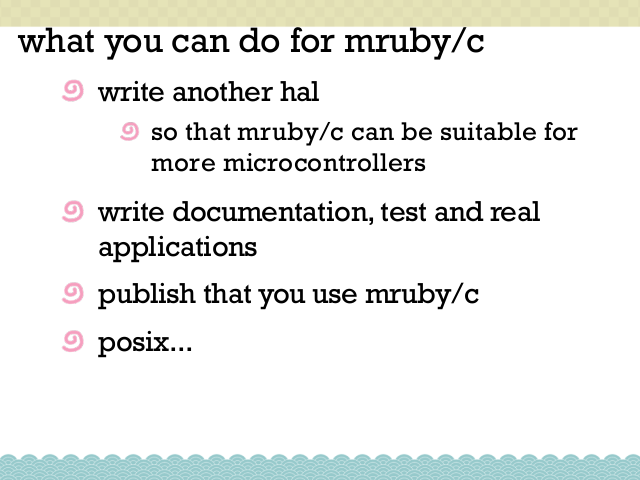 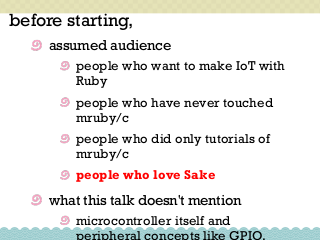 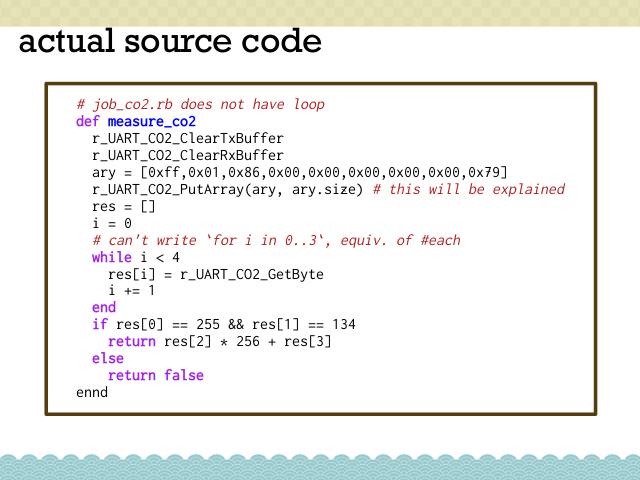 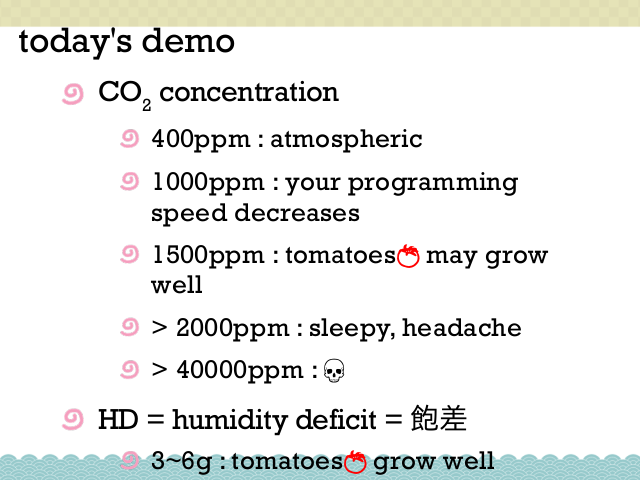 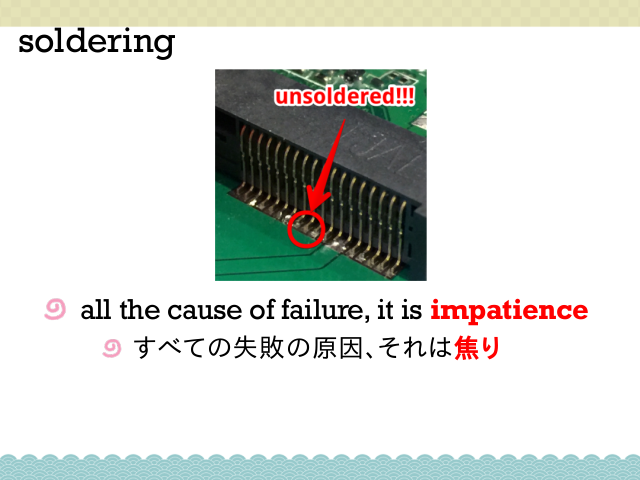 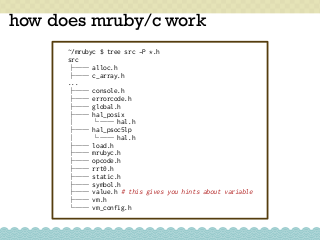 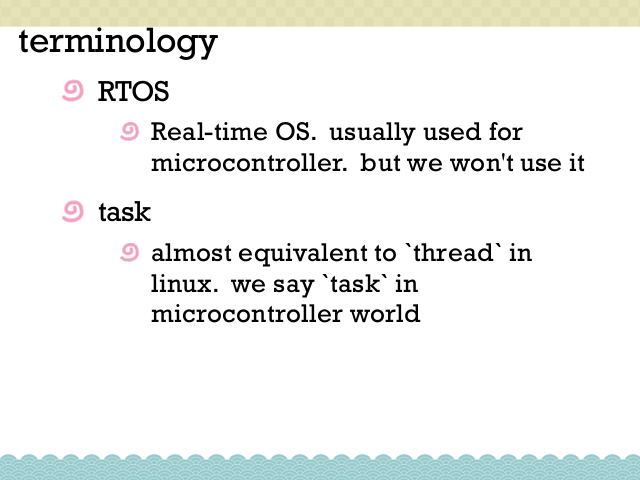 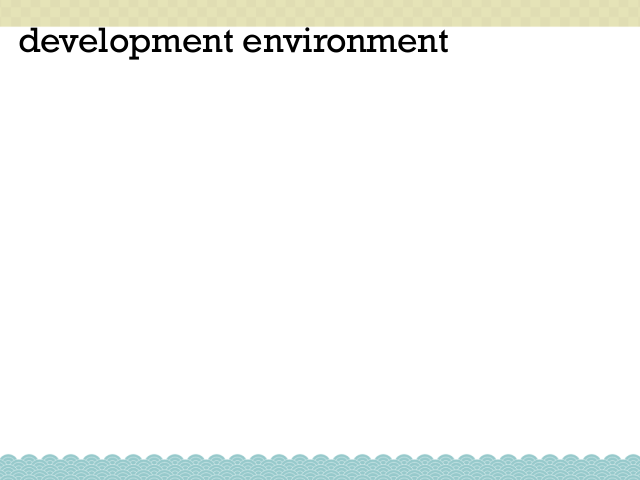 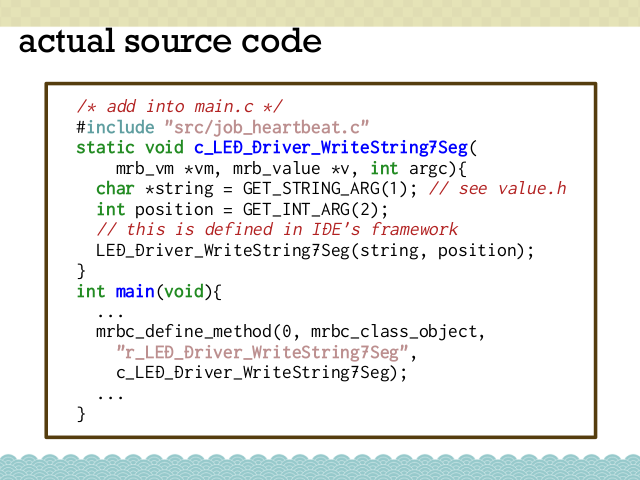 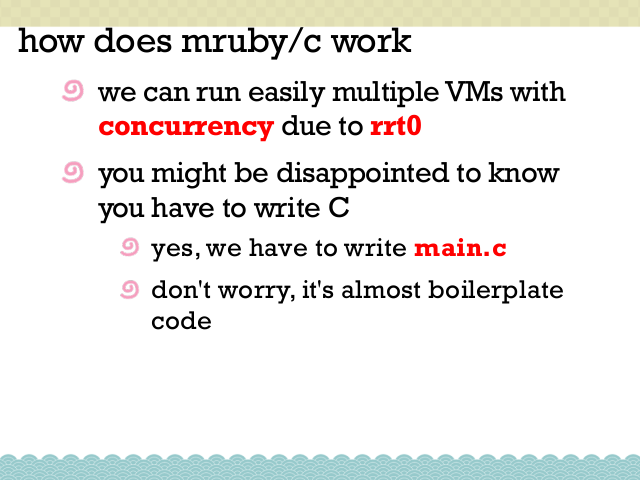 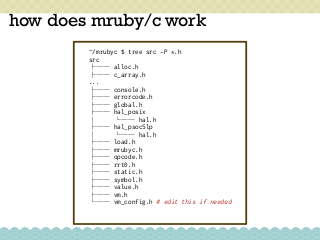 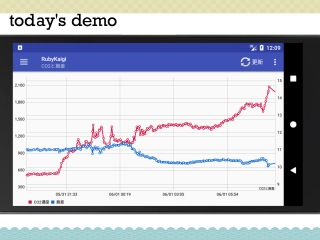 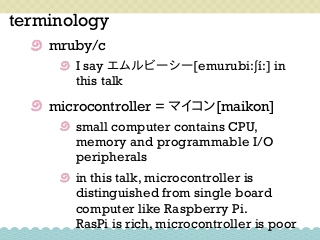 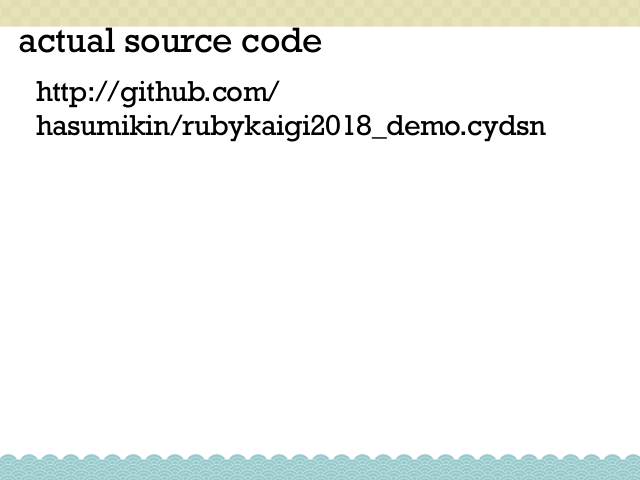 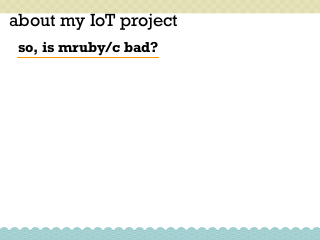 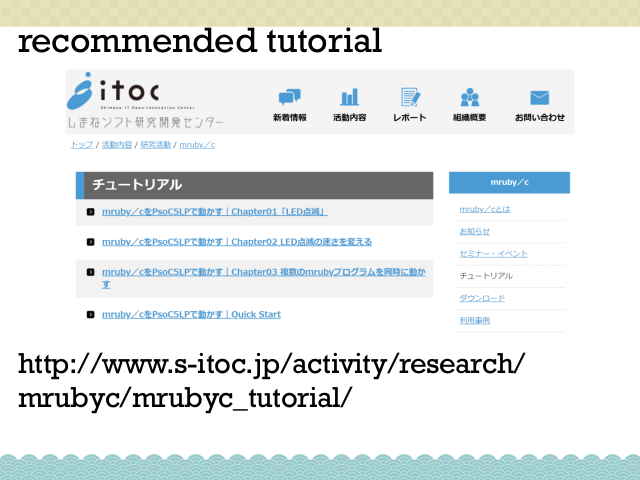 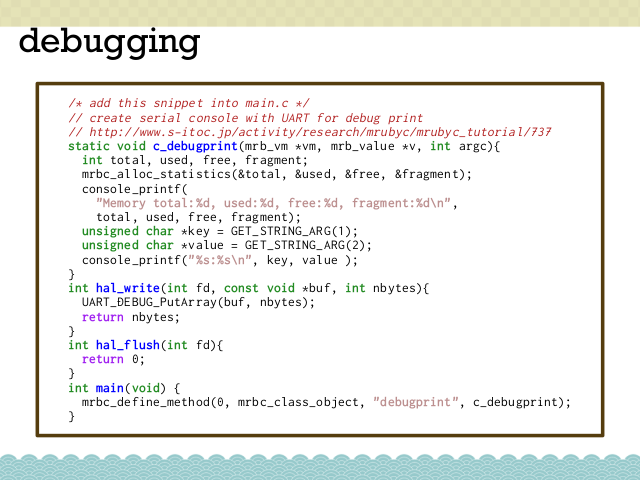 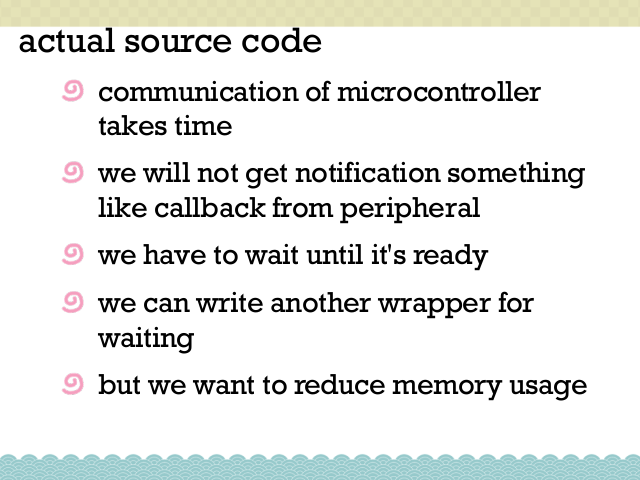 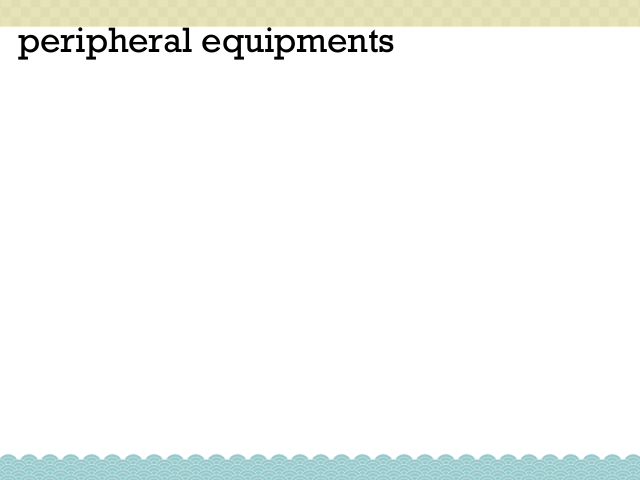 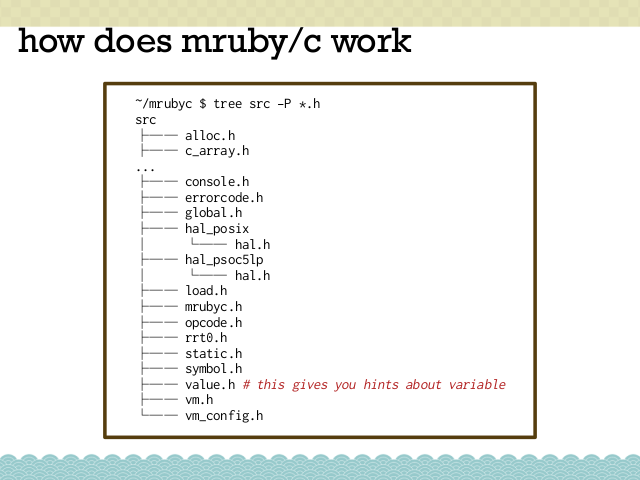 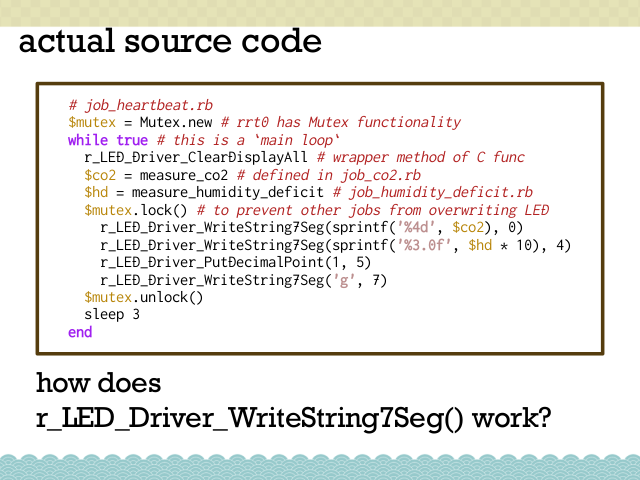 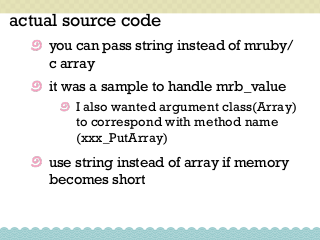 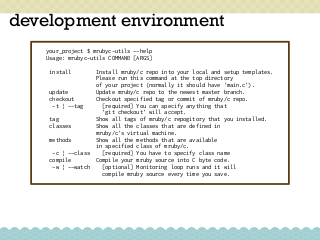 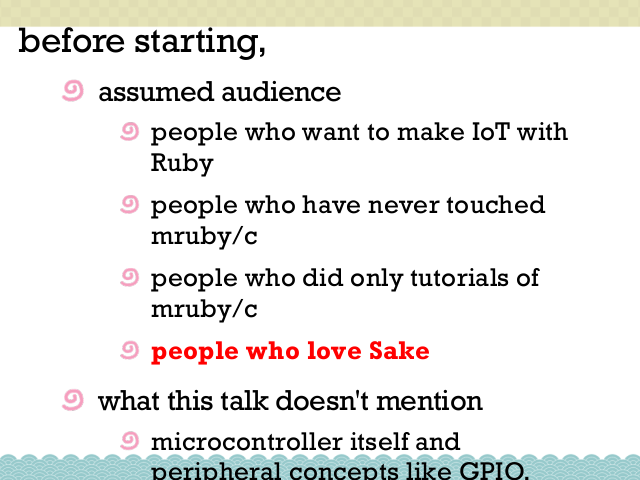 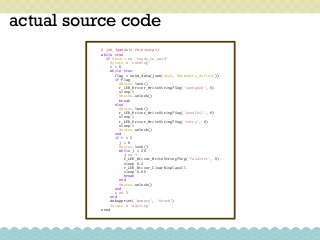 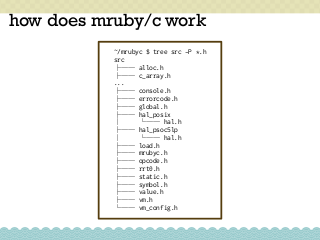 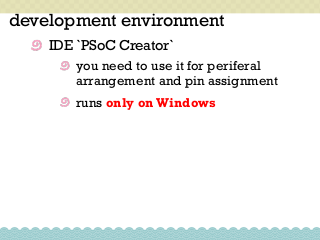 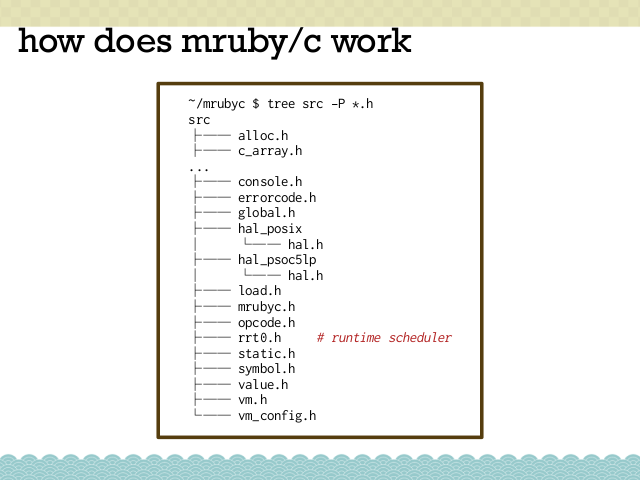 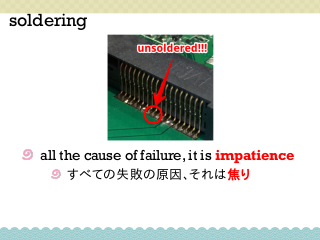 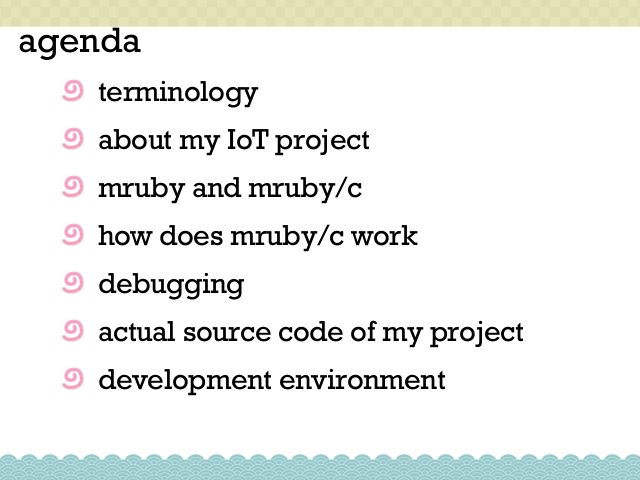 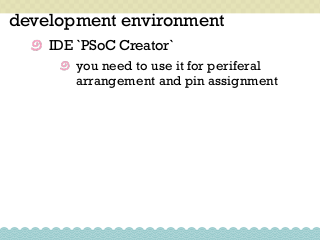 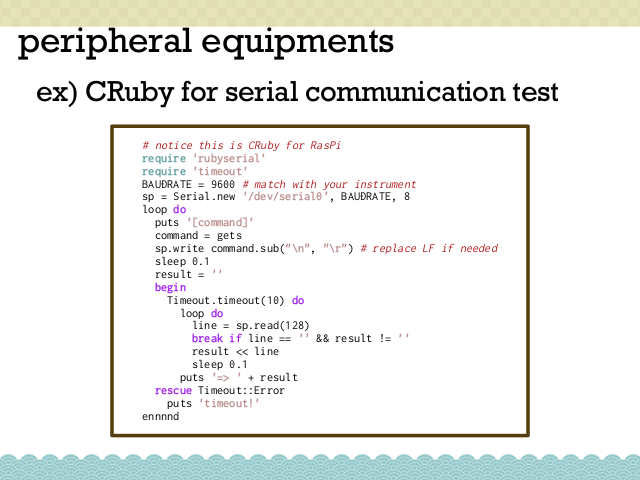 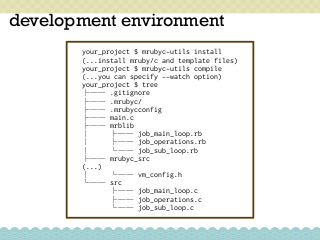 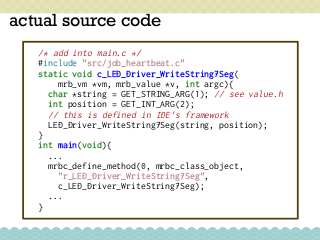 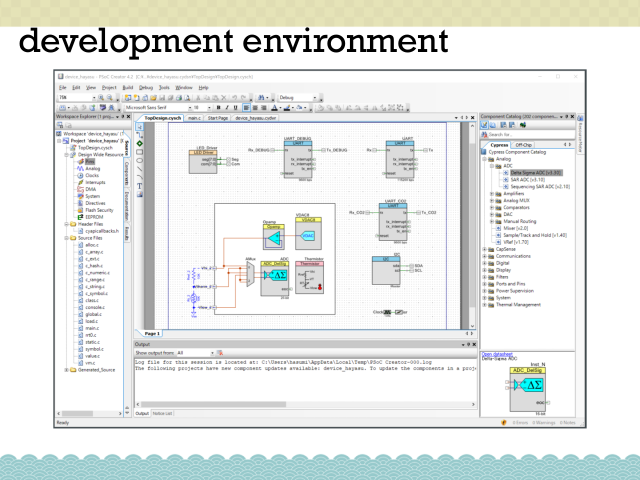 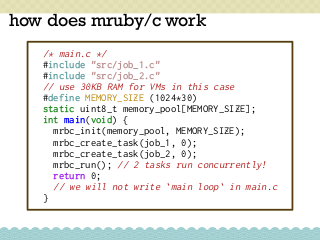 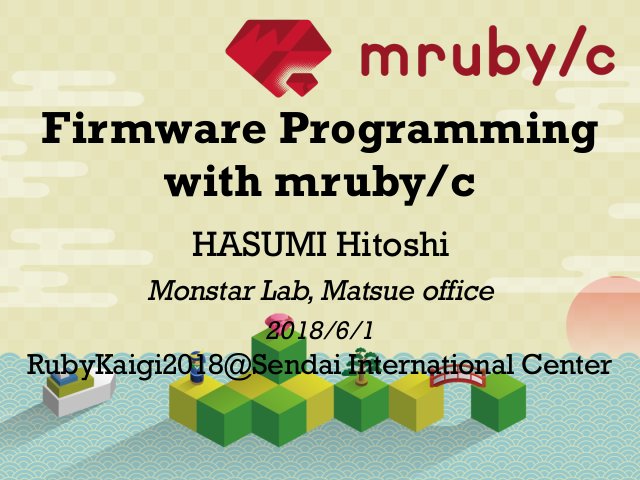 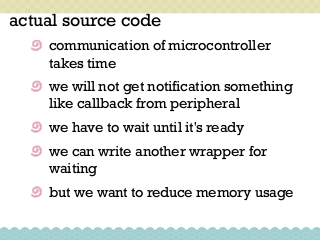 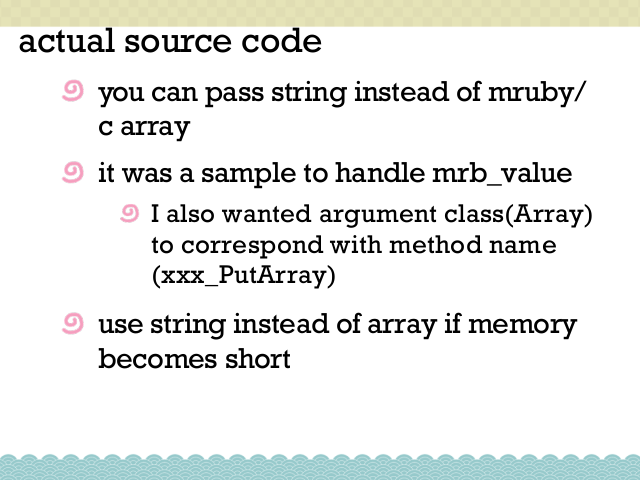 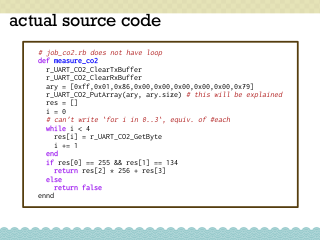 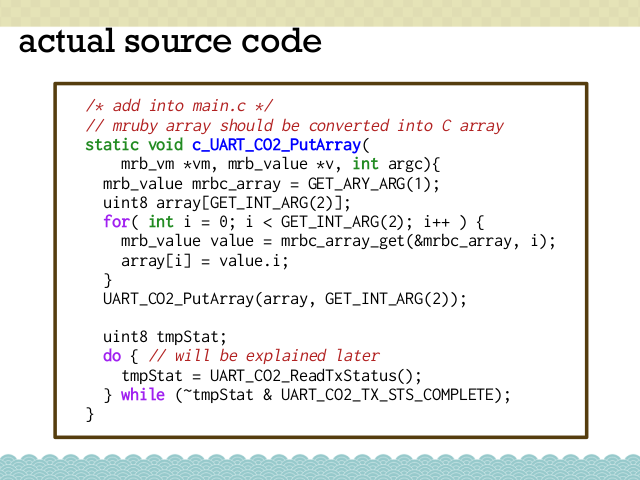 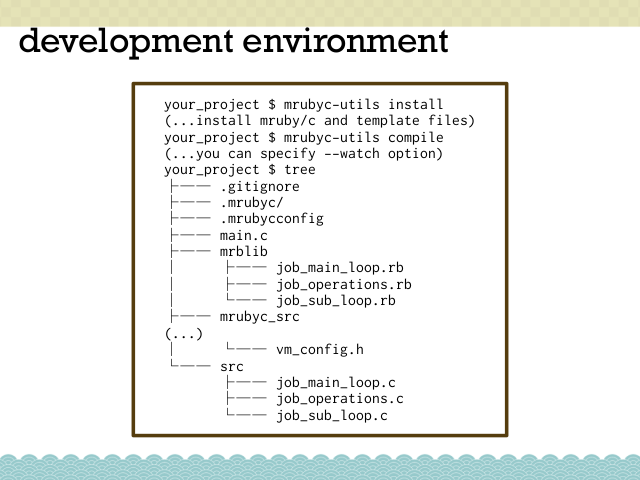 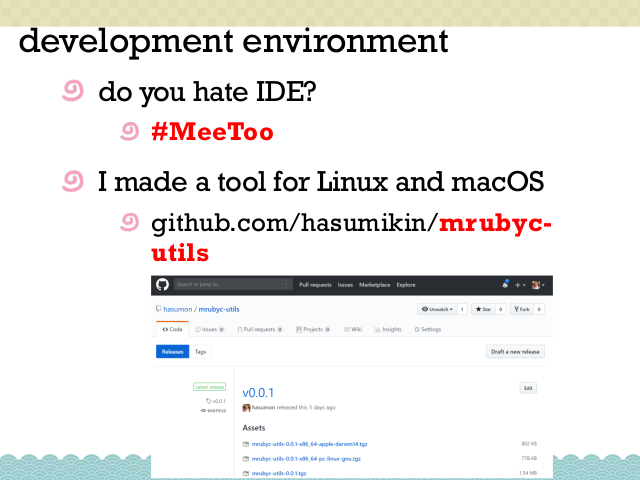 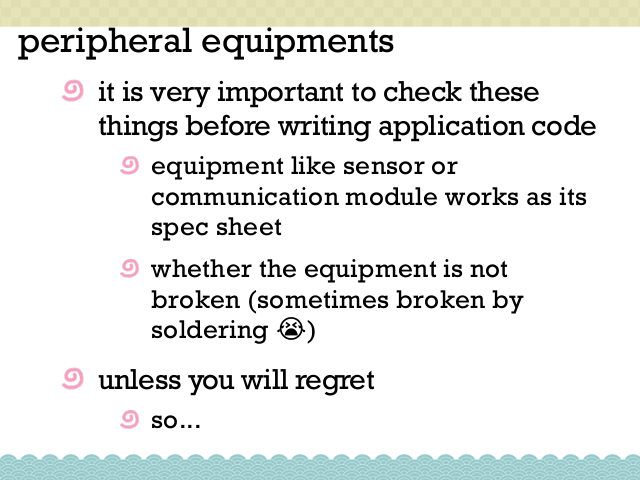 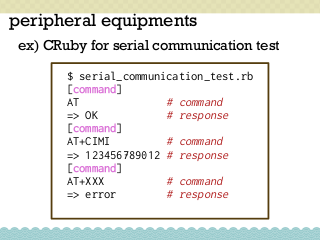 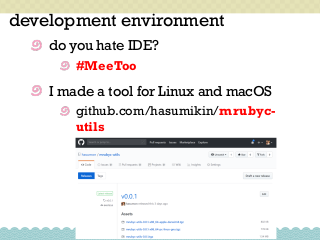 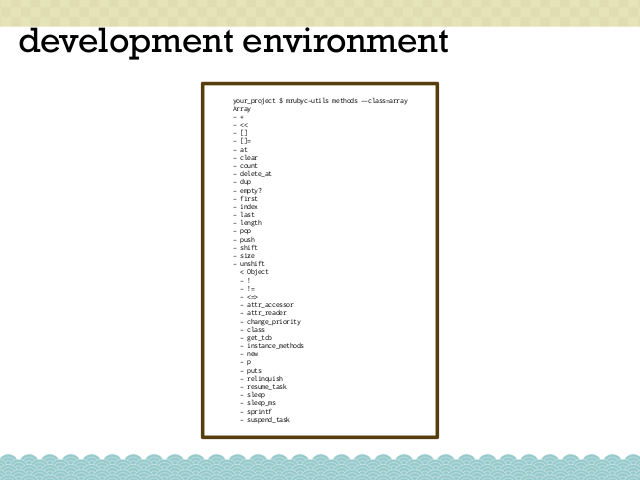 This talk shows how to introduce mruby/c firmware programming. 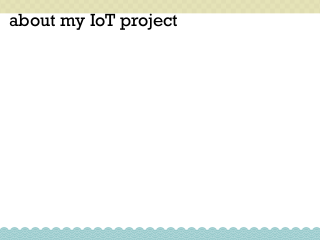 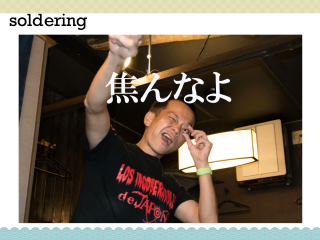 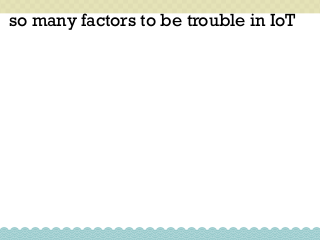 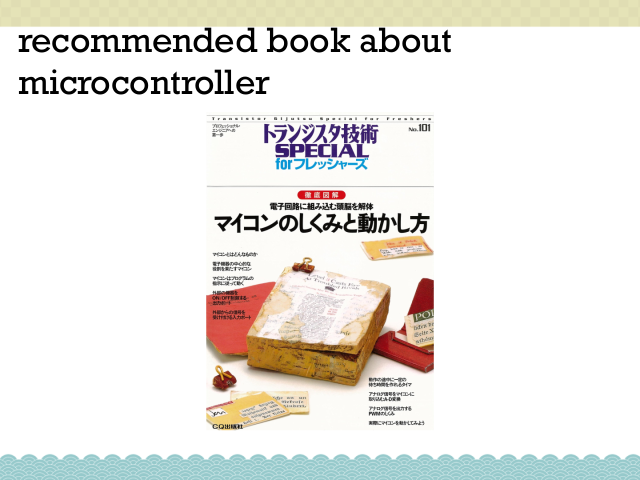 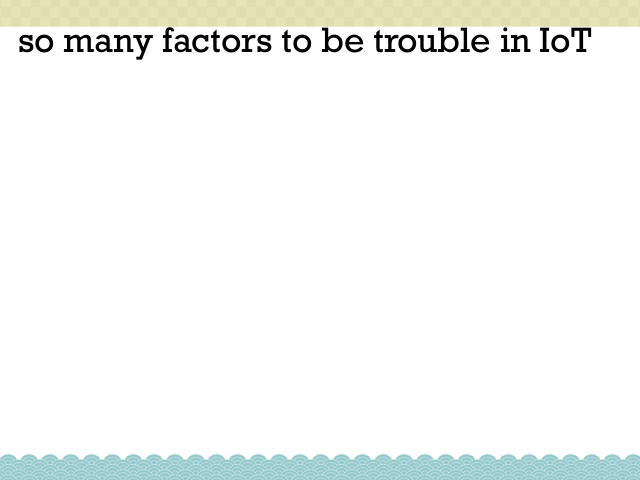 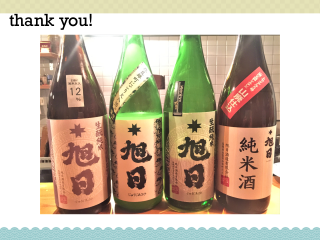 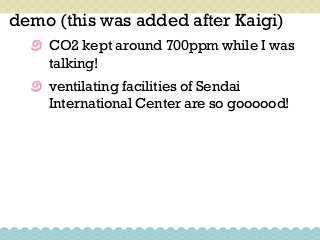 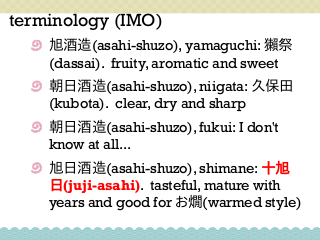 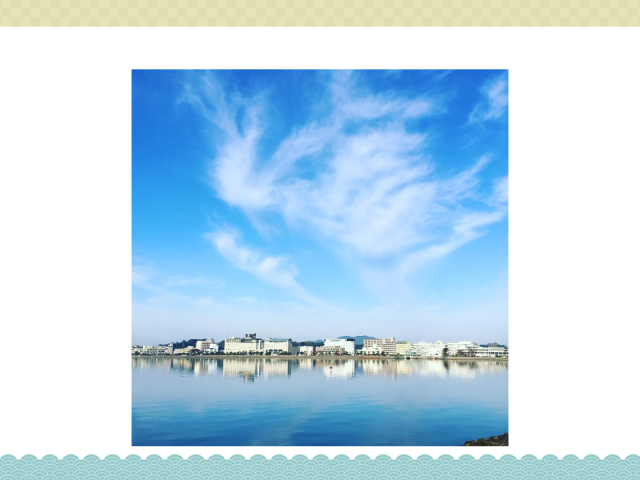 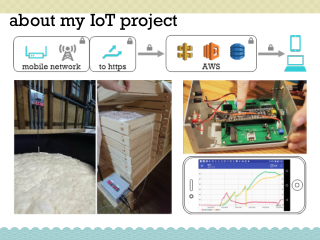 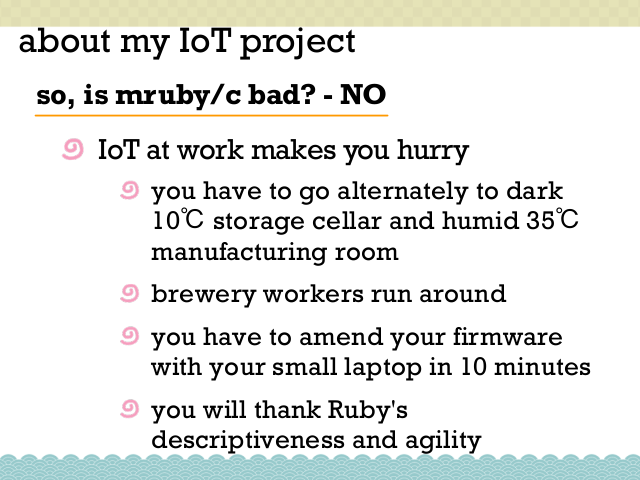 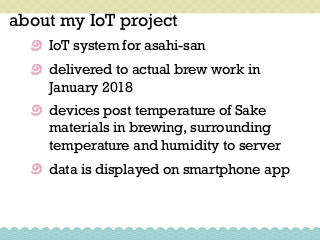 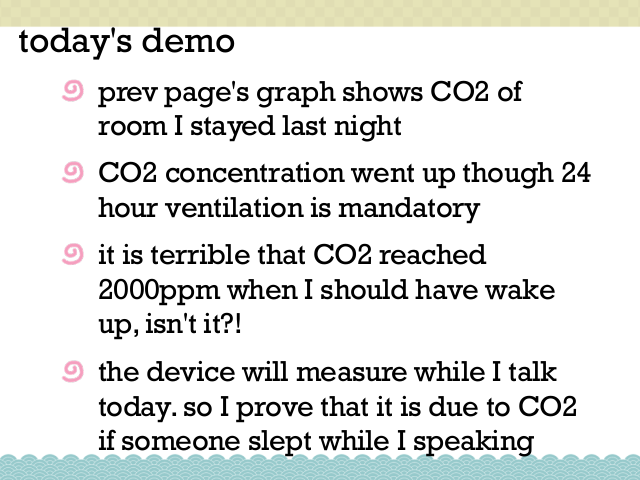 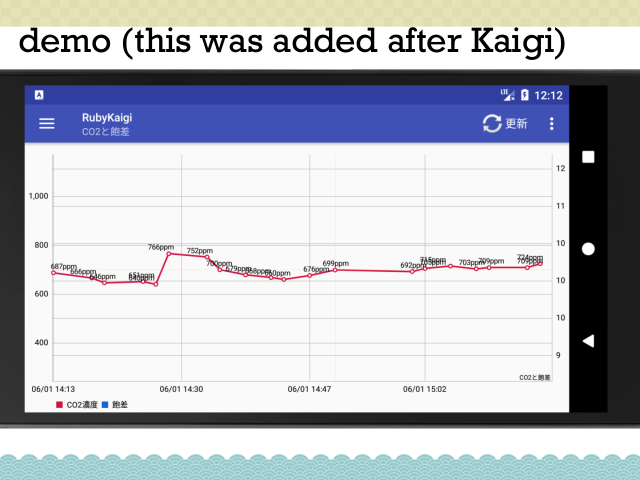 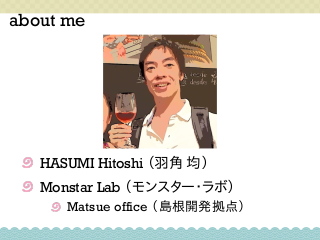 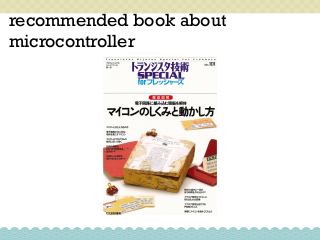 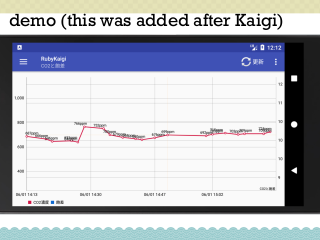 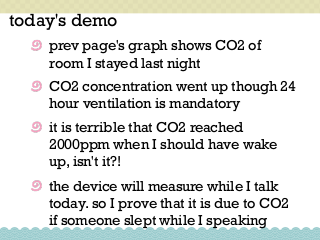 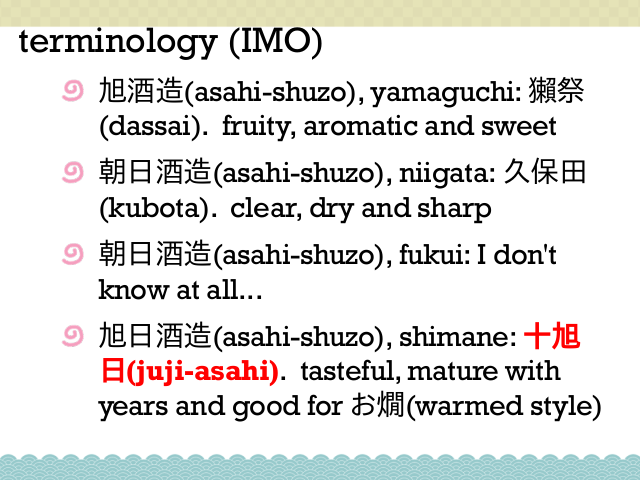 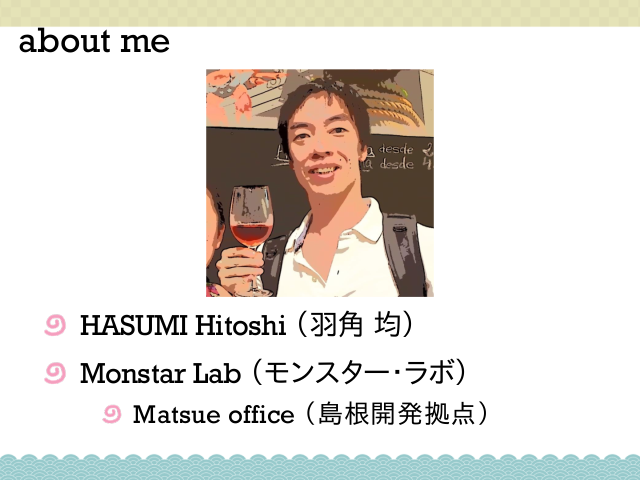 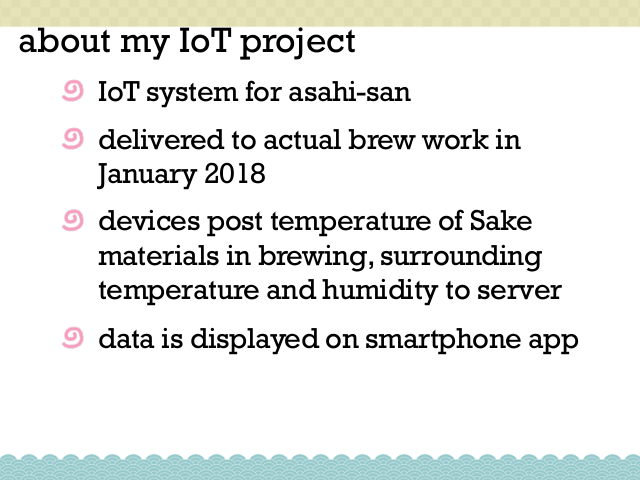 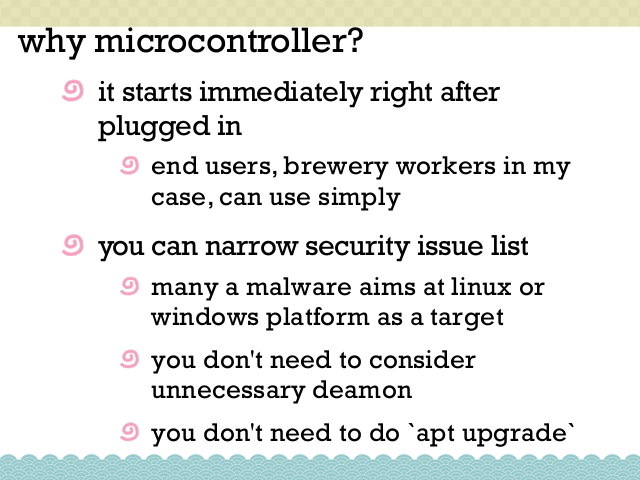 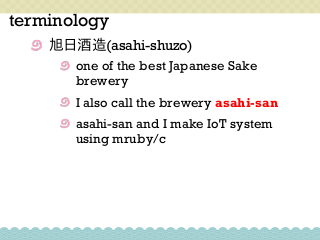 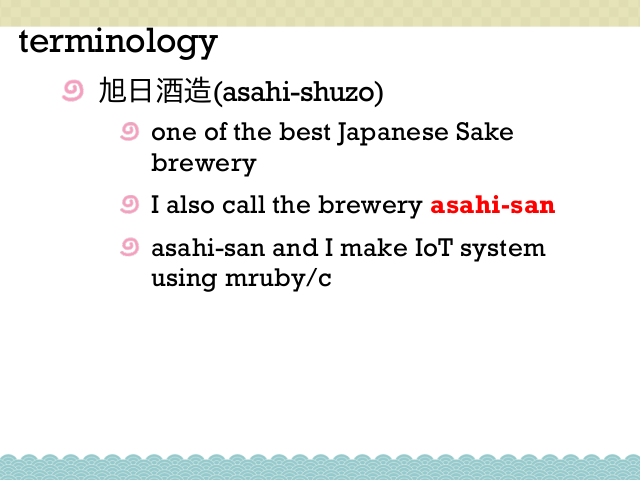 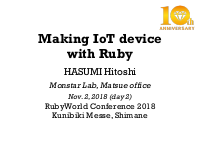 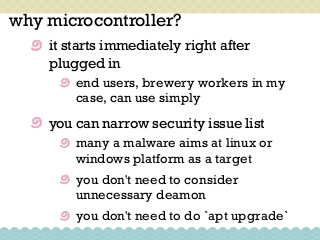 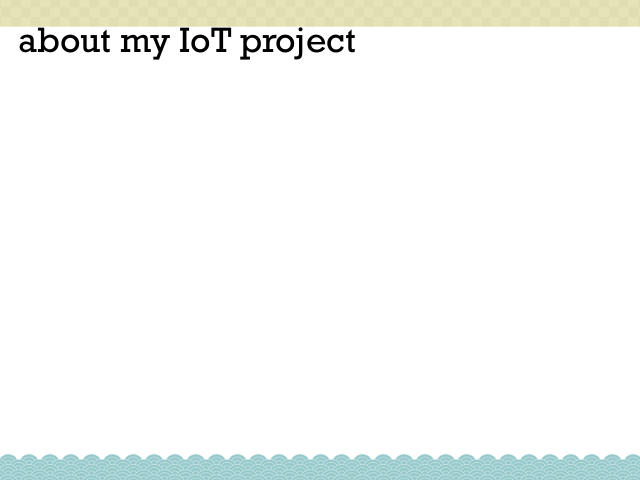 And besides, my actual IoT project for Japanese Sake brewery will be described. 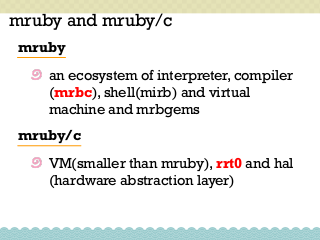 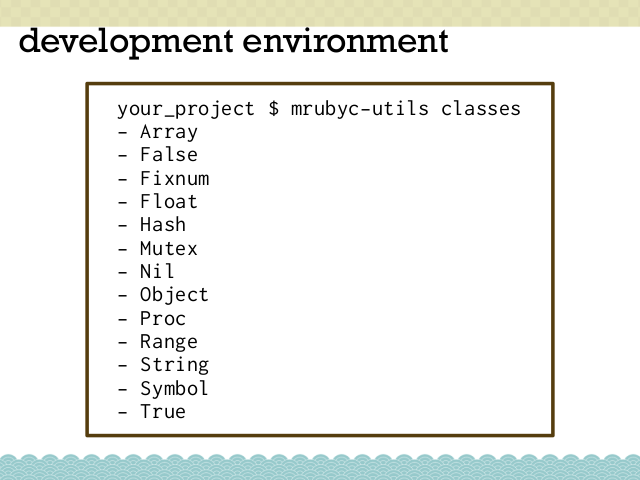 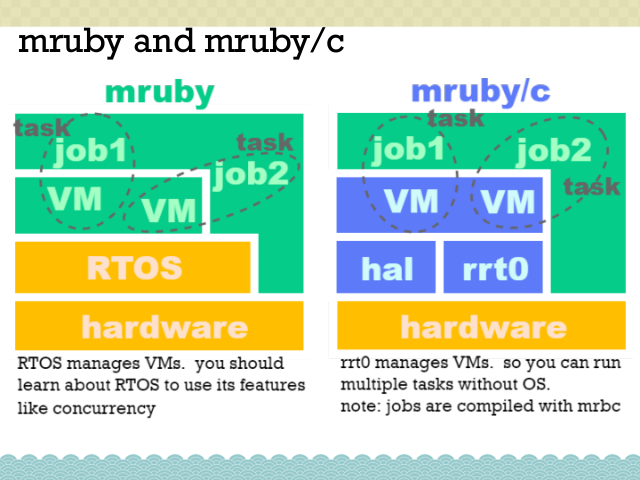 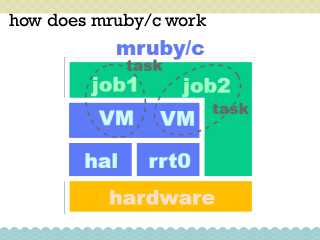 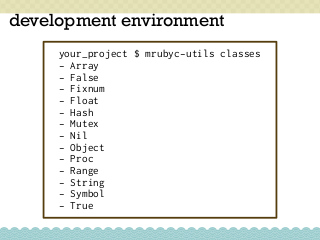 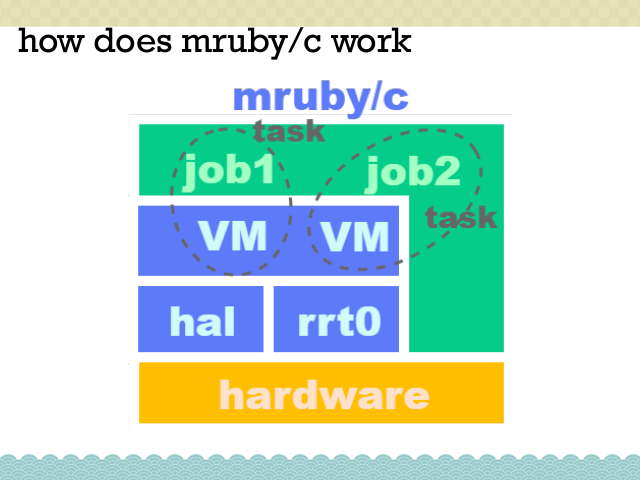 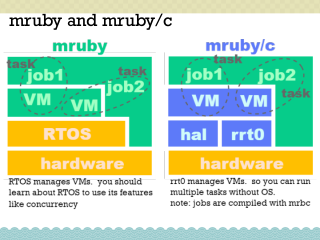 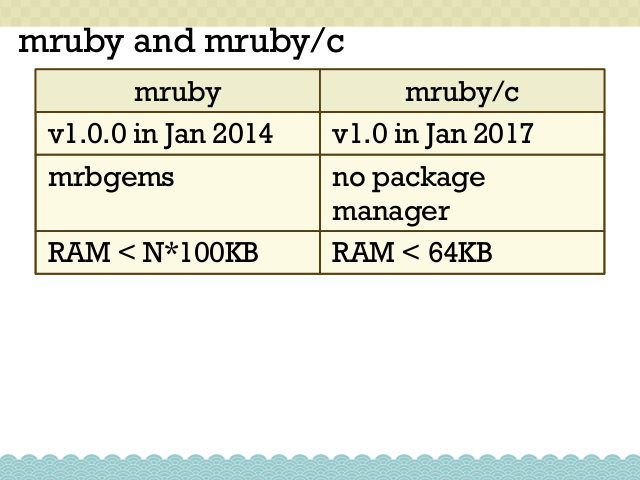 Since mruby/c is still a young growing tool, you will know there are several(many?) 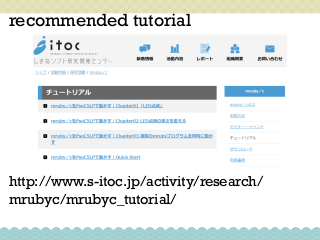 things you can help it to become better. 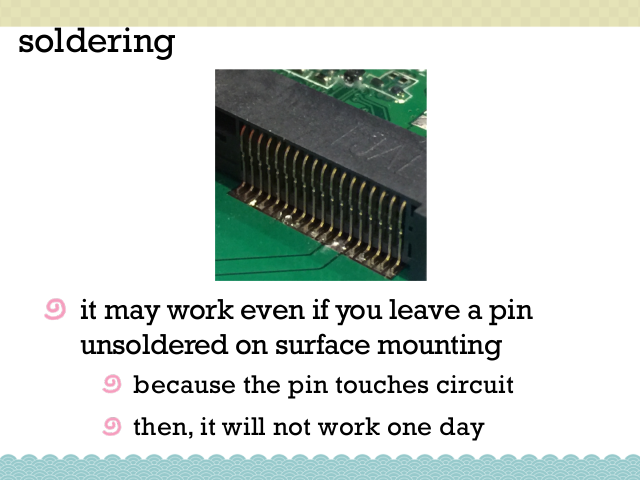 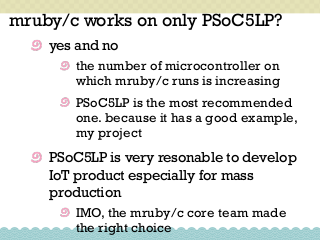 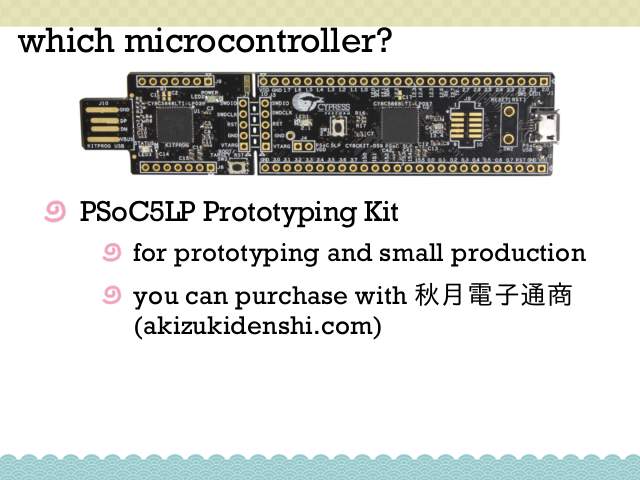 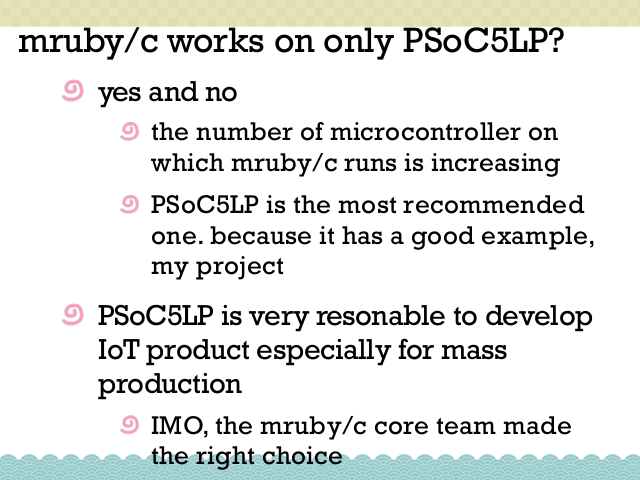 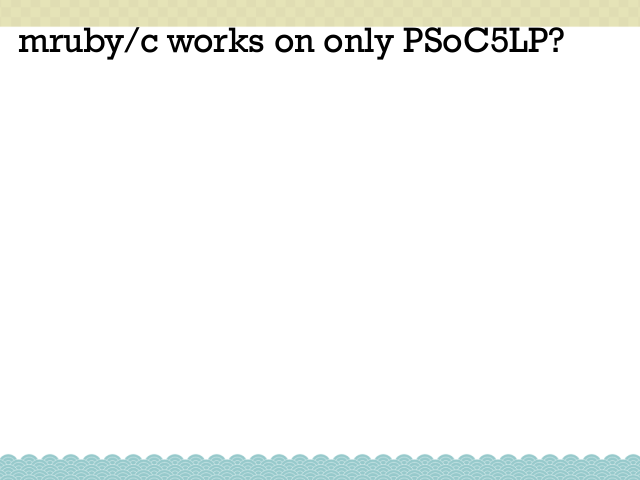 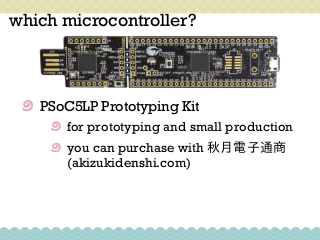 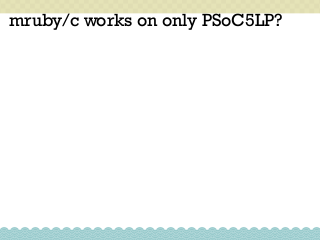 mruby/c works on only PSoC5LP? 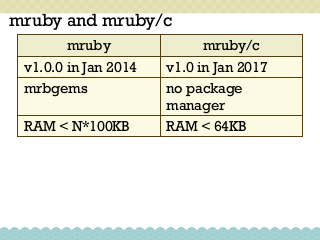 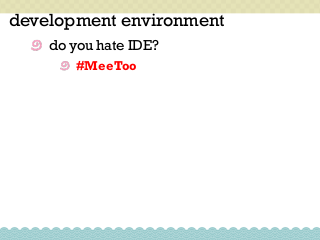 what were difficult about mruby/c? 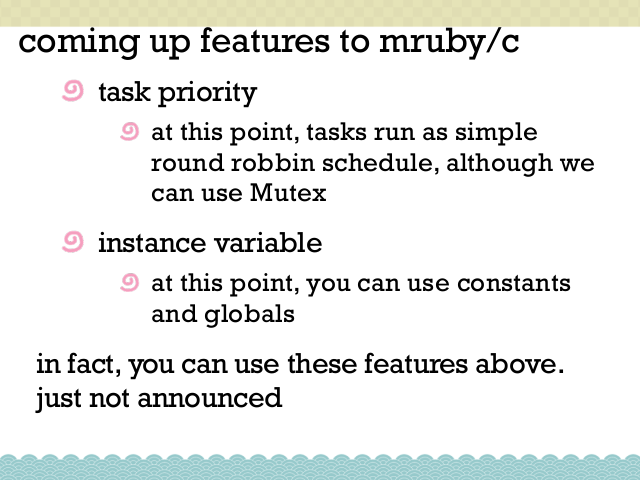 in fact, you can use these features above. 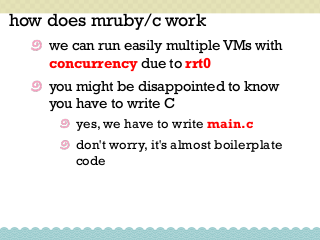 mrbc_run(); // 2 tasks run concurrently! 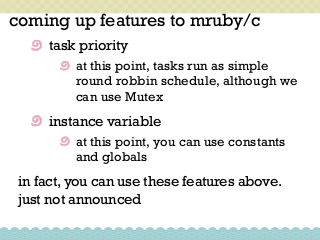 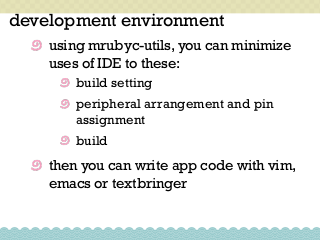 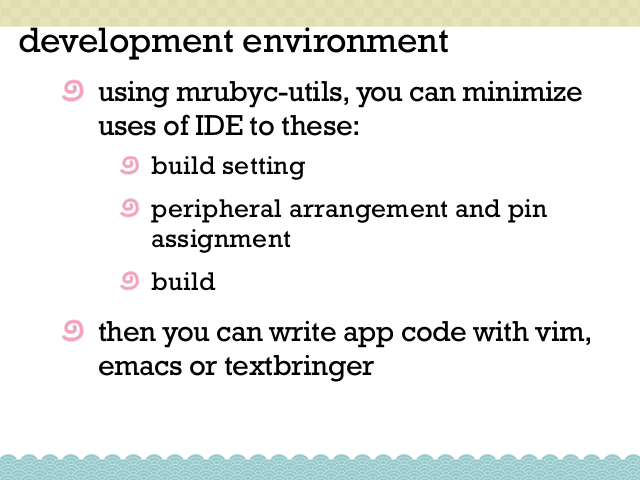 Install mruby/c repo into your local and setup templates. 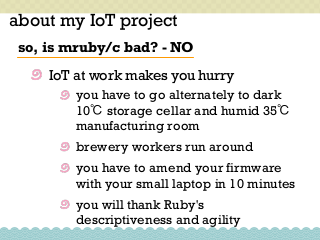 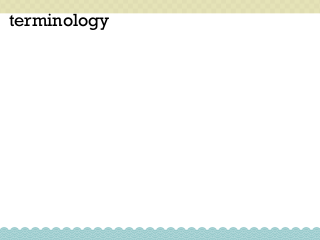 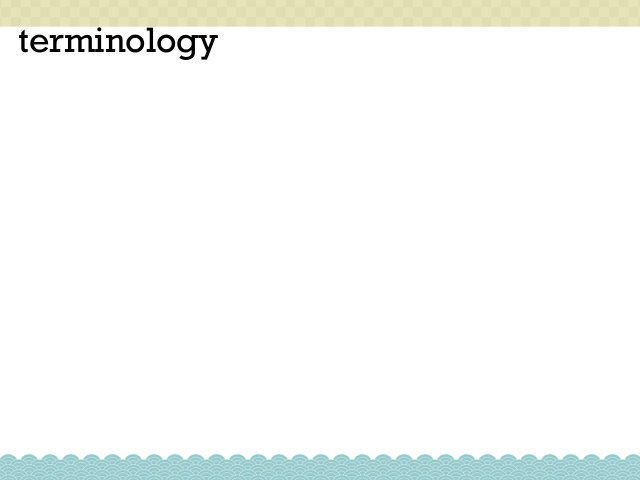 of your project (normally it should have 'main.c'). 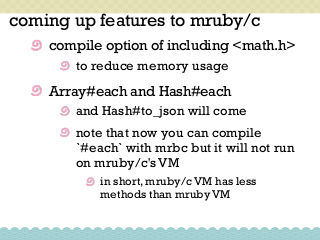 Update mruby/c repo to the newest master branch. 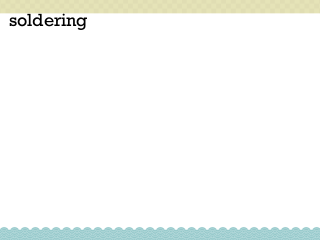 Checkout specified tag or commit of mruby/c repo. Show all tags of mruby/c repogitory that you installed. 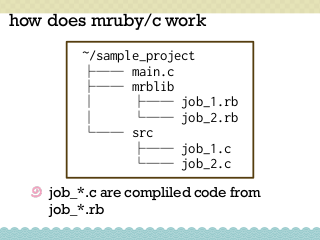 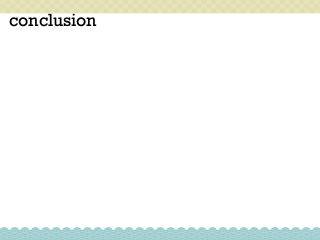 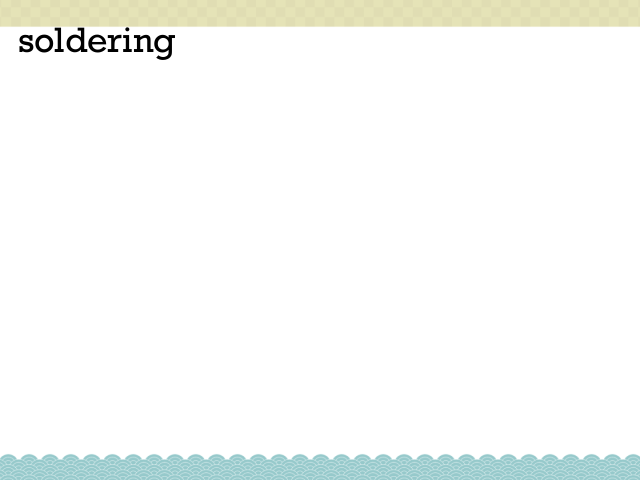 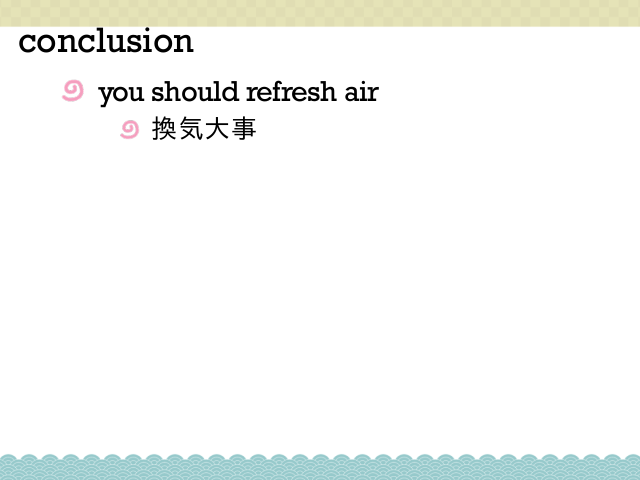 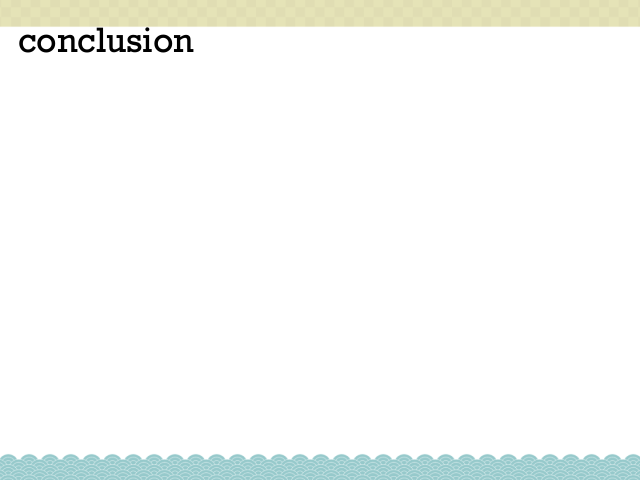 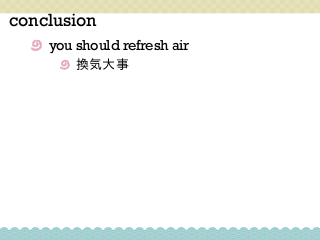 in specified class of mruby/c. 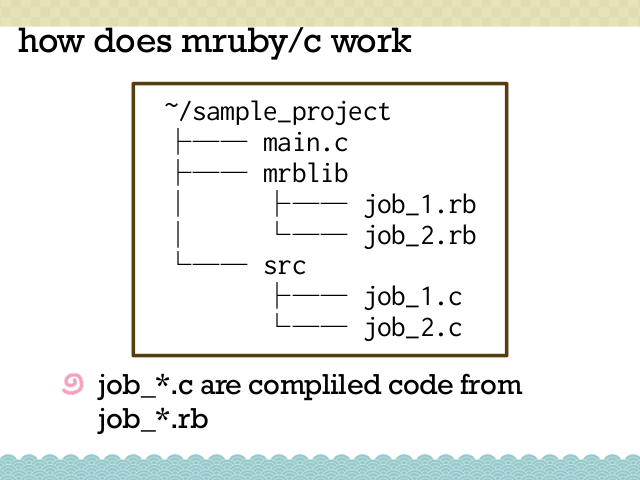 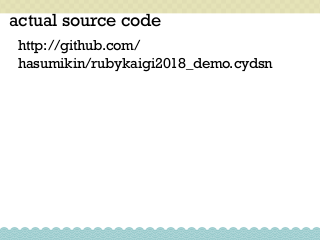 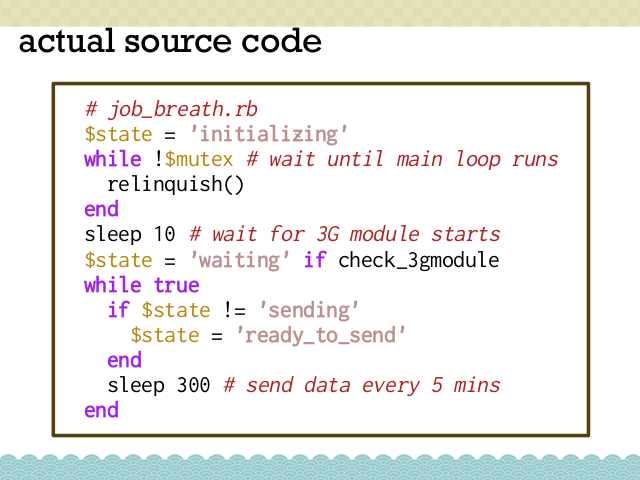 Compile your mruby source into C byte code. 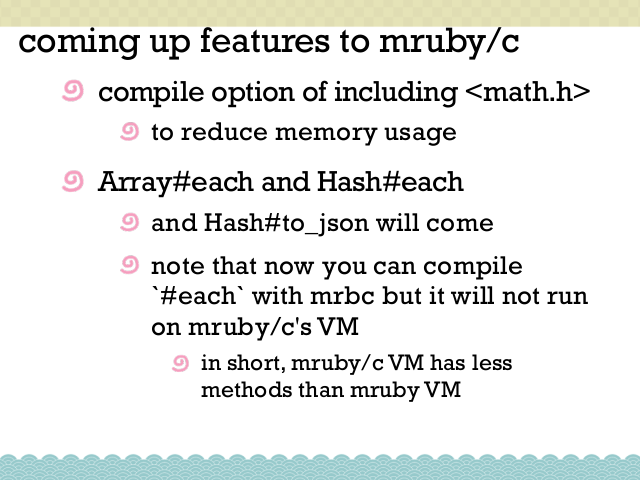 compile mruby source every time you save. 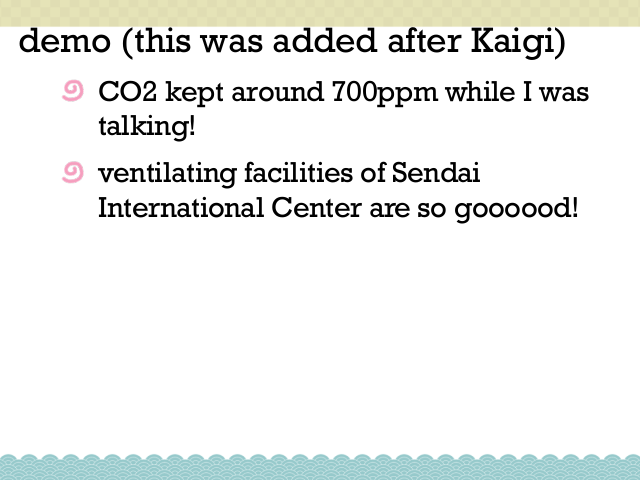 International Center are so goooood!